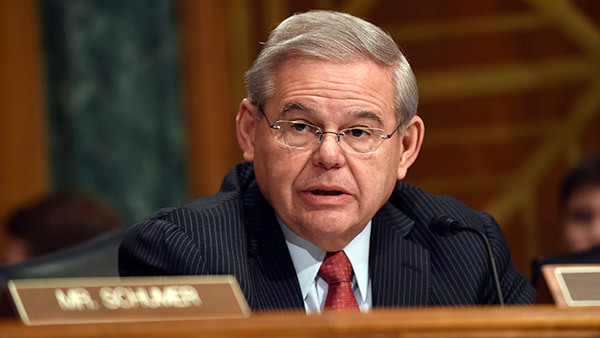 NEWARK, N.J. -- Defense attorneys for U.S. Sen. Bob Menendez will be allowed to present evidence of actions he took that are similar to those that prompted his bribery trial but aren't considered criminal. The defense wants to show that the New Jersey Democrat helped people get visas as part of his job. Among the charges Menendez faces are that he intervened to get visas for alleged girlfriends of a wealthy donor in exchange for bribes. Prosecutors had sought to have most of the evidence excluded. U.S. District Judge William Walls said during Tuesday's court proceeding he would allow it, but would limit it as he saw fit. Prosecutors allege Florida ophthalmologist Salomon Melgen bribed Menendez with trips on his private plane and luxury vacations.